The old saying goes that beauty comes from within and to a certain extent it's true. Eat well, avoid junk food and don't drink too much and you'll probably exude a healthy glow. But did you realise this even holds true for your hair and there are certain 'hair super foods' that can contribute to strong, glossy locks? Include foods rich in the following nutrients regularly in your diet to keep your hair in tip-top condition. Vitamin E - this fat soluble vitamin will protect your hair from sun damage and keep it strong and healthy by ensuring a good supply of blood to the scalp. You can boost your intake by eating nuts, leafy green vegetables, avocados and seeds. Iron - this essential mineral contributes greatly to a healthy head of hair and people suffering from anaemia are often plagued by hair loss. If you have too little iron in your body, the nutrient rich blood supply that your hair and scalp depend upon will be compromised. The best sources of iron are red meat, poultry and fish, and you can increase the availability of iron to your body by eating these along with Vitamin C at the same time. Vegetarians can get iron from leafy green vegetables, sunflower seeds, nuts, whole grains and, amazingly, dark chocolate. Omega 3 - these fatty acids are essential for healthy cells throughout the body and they contribute substantially to keeping your scalp healthy. Without an adequate supply you run the risk of dry hair and an itchy scalp. The best source is oily fish such as salmon, mackerel, sardines and herrings. Vegetable sources include walnuts, avocado, flax seeds and pumpkin seeds. Protein - this is the basic building block of your hair, so you'll need a diet containing sufficient high quality protein if you want luxuriant hair growth. The tell-tale sign of poor protein levels are dry, weak, brittle hair—or even in extreme cases, hair loss. The best quality proteins come from eggs, poultry, fish, dairy products, nuts and pulses. Biotin - you need this B vitamin for strong hair and a deficiency of biotin will make itself known with weak, brittle hair. Choose whole grain bread for higher levels of biotin and eat eggs, liver and other offal, legumes and chocolate. Zinc - a lack of zinc causes dull, fine hair and premature greying, along with dandruff problems due to a dry scalp. Good sources of zinc include oysters, red meat, poultry, fish and shellfish, nuts, eggs, whole grains and dairy produce. Selenium - this important mineral is a growth booster for hair while being at the same time a potent weapon against dandruff because of its anti-fungal properties. Eat plenty of lean meat, seafood, Brazil nuts, legumes, eggs and seeds. Vitamin C - you already know that Vitamin C is a vital antioxidant but one of its other main roles in the body is to assist with the absorption of iron. 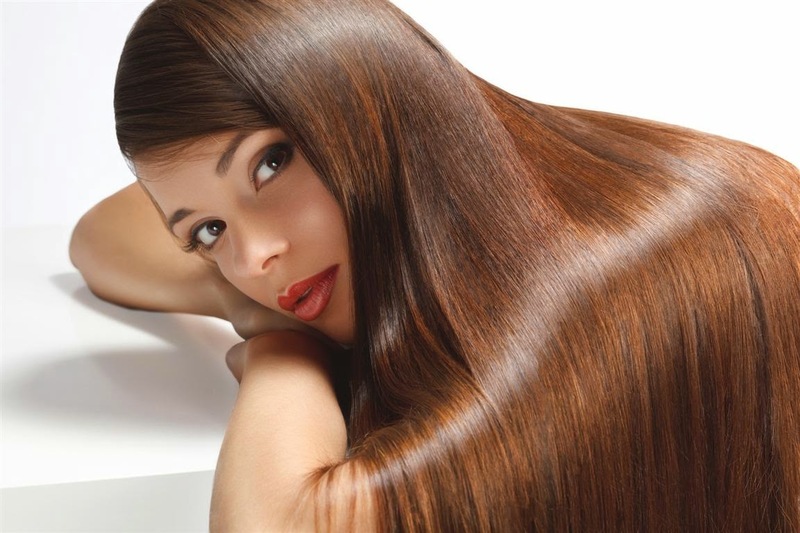 Vitamin C is critical for the production of collagen, which is an important factor in growing strong hair. You'll find Vitamin C in a wide range fruits, including strawberries, oranges, blueberries, kiwi fruit, papaya and black currants, along with sweet potatoes and red and yellow peppers. NiceHair is a hair loss prevention specialist website featuring tips, tricks and advice on hair loss prevention, interviews, healthy eating, delicious recipes as well as beauty tips, reviews and lists a number of best vitamins for hair growth. For more information please visit nicehair.org. What are your top tips for Healthy Hair?